Green or stainless steel finish. Single Button push to activate. Volt free contact to operate over-door lights, etc. 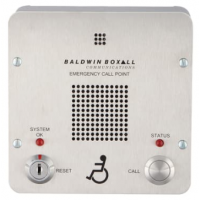 Call reset at control panel or key switch on remote. 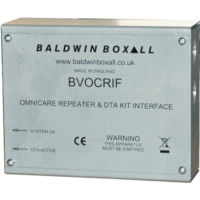 Wall box for DRS Green Remote unit. 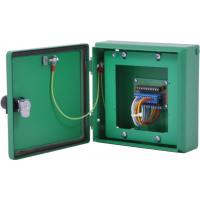 ..
IP66 Wall box for DRS Green Remote unit. .. 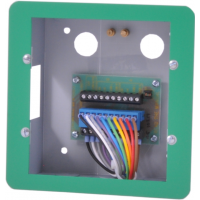 Flush mount Bezel for DRS Green Remote unit, wall-mountable. Available in Green or Stainless .. 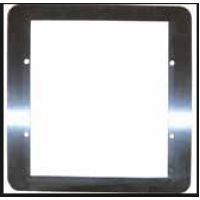 Flush mount Bezel for DRS Stainless steel Remote unit, wall-mountable. 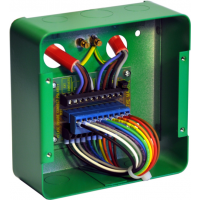 ..
DRS Remote unit green, wall-mountable (or flush-mountable with bezel). Includes termination card .. 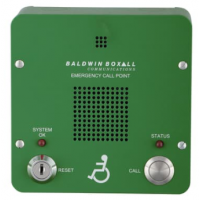 Remote unit green, wall-mountable (or flush-mountable with bezel). Includes termination card in b..